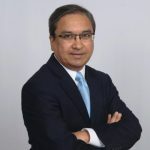 Samir Vyas has over 28 years of work experience in various global roles including IoT Partner Engineering, Sales, Business Development, Project Mgmt and Alliance mgmt with global leaders – DuPont, Exxon Mobil, IBM and Wipro Digital. In his current role as Director, IoT Partner Engineering, he is focused on incubating and executing joint Go-To-Market strategies for innovative IoT solutions with leading IoT Ecosystem partners including SAS, IBM, Cisco, HPE, Microsoft and several others. He also leads co-innovation and co-development initiatives with Ecosystem partners for building IoT solutions for asset intensive industries that leverage AI, Machine Learning, Robotics and Automation. As an IoT Evangelist, Samir enjoys sharing knowledge and assisting organizations to successfully embrace IoT and Industry 4.0 technologies to enable digital business transformation. Samir lives in Cary, NC with his wife and two daughters.